If you share essential oils, avoid common mistakes and build trust! I started learning about essential oils through a well-known essential oil company and started sharing with others pretty quickly after I learned about some of their many benefits and enrolled as a member. Since then, I have earned a Certification in Aromatherapy and thinking back, some of the things I did early on in my journey before getting this education, make me cringe. Sharing essential oils is great because it feels good to be able to help people, and to empower them to have tools to help themselves. Despite the many benefits essential oils have, they also have safety considerations. It’s important to know what you can do to share responsibly and reduce the risk of adverse reactions. Knowing what I know now, I do things differently when I share samples. Pure Therapeutic Grade Essential Oils: Keep out of reach of children and pets; for external use only; dilute in carrier oil for use on skin; avoid exposure to eyes, ears, and mucus membranes; store tightly sealed away from heat and light; consult with a qualified practitioner before using internally; use caution if you are pregnant or nursing, or if you have a serious medical condition. Avoid exposure to sun or tanning for 12 to 18 hours after using this oil on your skin. 2. Write expiration dates or batch numbers on your samples. Expired essential oils can have altered chemistry and cause adverse reactions (I explain this in more detail further down in this post). Rotate expired samples out and either discard them or use them for something else that doesn’t involve direct skin contact, like cleaning or laundry ( I don’t like them to go to waste either). Whether you just like to help people, or are a member of a multi-level marketing company and want to grow a downline/team (usually it’s both! ), these tips can help prevent some of the mistakes I made early in my journey. It’s common sense and common courtesy. Some people are highly sensitive to chemicals, natural or not. You don’t have to be an expert, but the more you know, the more you can help. 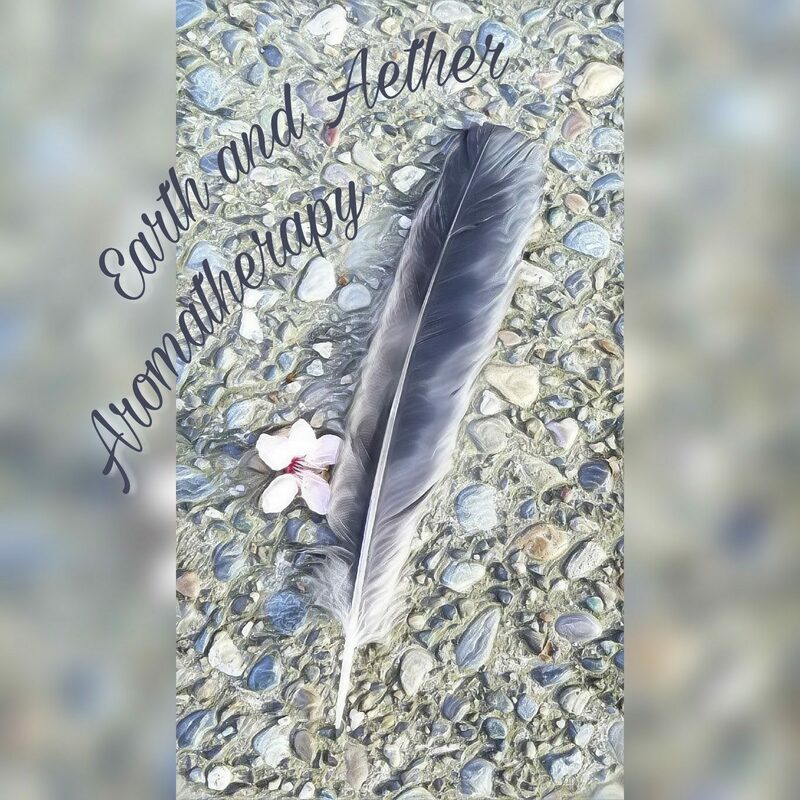 I highly recommend checking out the resources out there by certified aromatherapists and experts in the field, like Aromahead Institute, Tisserand Institute, and Atlantic Institute, as well as professional organizations such as NAHA and AIA. In fact, I recommend passing along these resources to people you share with. Check out my Resources page for some suggestions. Print them out on the same slip of paper with the safety cautions, or have a file with your favorite links that you can send to the recipient of the sample. Your favorite essential oil company most likely provides a wealth of information and resources, but I believe it is important to learn from multiple resources so you see a variety of approaches and perspectives. There are several factors that can degrade your oils: Heat, Light, Air, and Time. These factors lead to oxidation, which changes the chemistry of the essential oils, affects the therapeutic qualities, and can result in adverse reactions, like skin irritation, or even sensitization, an acquired allergy. Knowing the expiration dates and proper storage will ensure that that the samples you are providing are not compromised. Proper storage: Keep the oils away from excessive heat and light, and minimize how much they are exposed to air – it is best to store them in dark glass with the lid on tight, without too much “headspace”, which means if there isn’t much oil in the bottle, it will have more headspace and more oxygen, resulting in faster oxidation. Pure essential oils can break down some kinds of plastics, so glass is the best material to use for your samples. Note the batch number on the bottles of essential oil. Sometimes they are stamped onto the bottom, sometimes they are on the label. There may also be an expiration date on the bottle. I like to note the actual distillation date, or date the oil was bottled if distillation date is not available. If in doubt, contact the essential oil company/companies whose oils you buy. Here’s what I do: Write the batch number or expiration date on your samples – I like to use blank cap sticker “dots” and place them on the bottom of my 1/4 and 5/8 dram sample bottles. Next 3 numbers: Julian calendar date (this is a different calendar system than one one we use. In this system February 17 would be 48, because it’s the 48th day of the year (see the link for more information). So a lot number of 150066A would mean that it was bottled in 2015 (15), January 6 (006), in USA (A). If it is a citrus oil, you would know that it is best to use it by January of 2017. This is so important, and not knowing, as well as passing on faulty information can damage your reputation, relationships, and trust. So many people have great intentions but unknowingly give information that leads to an adverse reaction to an essential oil. This is the number one reason essential oil consultants have a negative reputation in this industry. For years now, the Atlantic Institute has gathered data from essential oil injury reports and a surprising amount of reports is by people who acted on the advice of a well-meaning but under-informed consultant. Below I have summarized some information, but it is not all inclusive. There are many great resources for learning essential oil safety (Some of these can be found on my Resources page). For example, Tisserand Institute is a great place to start, and Aromahead Institute has a free online intro to essential oils course with a section on safety guidelines. *When offering essential oil for immediate topical use, offer a carrier oil first so the person has the choice of diluting. *Don’t recommend unsafe use: The most common unsafe recommendations involve internal-use methods, undiluted use on the skin, and inappropriate use of essential oil on infants. My thoughts on internal use – There are a lot of differing opinions on internal use. I don’t recommend drinking essential oils in water or telling others to do so. Some essential oil companies sell essential oils contained in specially formulated capsules, or other forms. This may carry fewer risks than drinking essential oils in water, and I would like to think that companies that formulate products for internal use do the appropriate research, but I am not far enough in my continuing education to understand all of the risks and benefits of these formulations. I do know from reading Tisserand and Young’s book Essential Oil Safety, 2nd edition, that there are more risks with internal use of essential oils (versus topical or aromatic use) when there are other factors present such as medications, health problems, or pregnancy. The best practice is to recommend that a person speak to a qualified professional who is trained in safe internal use of essential oils before considering this method. My thoughts on diluting – When in doubt, always dilute. Some risks of using essential oils “neat” on the skin are skin reactions that can range from mild to severe, and may include sensitization, where one develops an allergy to an essential oil. Always recommend diluting when you share essential oils. Infants – avoid essential oils directly on the skin – any amount used should be heavily diluted, diffuse less than you would for an adult, use hydrosols instead; some essential oils should be avoided near the face such as peppermint and eucalyptus Note: While infants and children can benefit from essential oils, they don’t need as much and can easily be overwhelmed. Aromahead has a blog with a lot of great information on using essential oils with children. Animals – Some are more sensitive than others, and in many cases, essential oils may be too concentrated for them. When diffusing, be sure that pets have an escape route so that they can leave the room if they want to. I ask if the person is open to trying essential oils and if it’s ok if I share some, or if they want to try some, and offer carrier oil if offering the essential oil to be used topically. I include a slip of paper that has a list of safety precautions, if offering a sample to keep. I ask people if they are pregnant or nursing, have any serious medical conditions, liver or kidney disease, or epilepsy, avoid the contraindicated oils and advise on the related precautions. I provide my business card and get their contact information so that I can follow up and provide more information and resources. I show the person how to use the sample. Sample drams – these are tiny bottles that hold 20 to 40 drops of essential oil, depending on the size. Good sizes for sharing are 1/4 dram (approx 1mL) and 5/8 dram (approx 2 mL) sizes. I like to have some empty ones in addition to my samples. Note: I like to show people how to use the samples, especially if the sample drams have the plastic orifice reducer which can make it difficult to dispense the oil. Dropper Bottle and carrier oil – I carry a small dropper bottle with jojoba (it’s a liquid wax often used for diluting essential oils), because so few people have allergies to jojoba, and because it does not go rancid. I like to label my dropper with the batch id number of the jojoba I am using. Cap stickers – You can get sheets of these that have the names of essential oils on them, and it’s helpful to have a sheet of blank ones too for batch numbers or blends. Small bags – I found a box of 175 bead bags (3 x 5 inch) a craft store that are clear, resealable and the perfect size for samples, and fits business card as well. Pen/Pencil – This may be out of date for many, but I still find them handy! Brochures, promotional material, membership forms – If you are building a business with your mlm company, these are handy to have on hand, but I recommend reviewing the information to see if there is anything you don’t agree with as far as usage recommendations. I hope this information has helped you gain more confidence in how you use and share essential oils!